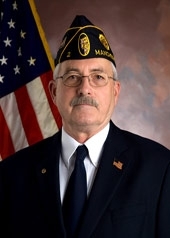 Bill Whitmore served twice as commander for Sweeney Post (2010 and 2014). Also, he was involved in recruitment for young veterans and encourage the older veterans to do recruitment for Sweeney Post. Unfortunately, he was the first command to pass away while serving in office as Commander.